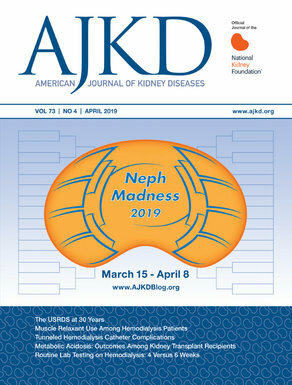 NephMadness 2018 commences on Thursday, March 15, and we can’t wait for the fun and learning to begin! 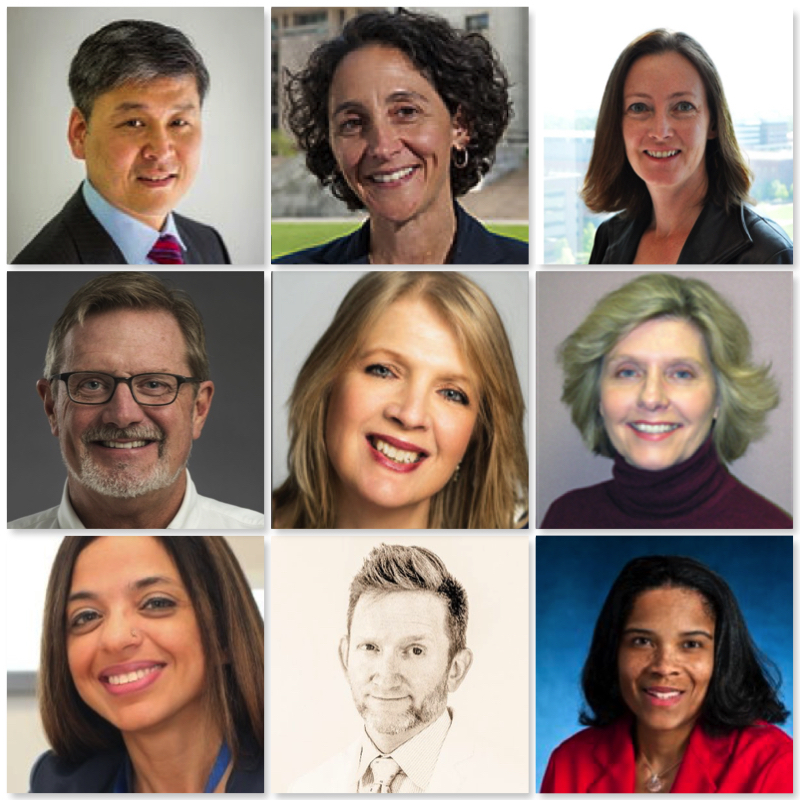 Every year, new participants might ask the question, “Who determines the winners of each round of NephMadness?” We’ve tried a few different methods in the past and finally settled on deputizing a Blue Ribbon Panel to help us do that. When their decision goes against the crowd (#BlueRibbonFail), we usually ask them to explain what happened if possible. Michael Choi is Associate Professor of Medicine and Clinical Director of Nephrology at the Johns Hopkins University School of Medicine. He previously served as the Nephrology Fellowship Program Director from 1996-2009. Dr. Choi is the current President of the National Kidney Foundation (NKF). Melanie Hoenig is Associate Professor of Medicine at Beth Israel Deaconess Medical Center. She is the course director for Renal Pathophysiology at Harvard Medical School and co-chaired their recent curricular reform efforts. Dr. Hoenig is the Editor for the American Society of Nephrology’s Kidney Self Assessment Program (KSAP). Sarah Faubel is Professor of Medicine and physician and faculty at the Denver Veterans Affairs Medical Center and University of Colorado-Denver with an adjunct faculty appointment in pediatrics at the Children’s Hospital of Colorado. She is a physician scientist who has been funded for 15 years to study the deleterious systemic effects of acute kidney injury (AKI) in rodent models. The overall goal of Dr. Faubel’s research is to identify treatable complications and targets of AKI. Roger Rodby is Professor of Medicine at Rush University Medical Center and Program Director of their nephrology fellowship program. He is a community leader for the American Society of Nephrology and a member of the AJKD Social Media Advisory Group. Fiona Loud is the Policy Director at Kidney Care UK (@KidneyCareUK), the leading kidney patient support charity in the United Kingdom. She is a kidney transplant recipient and a fierce patient advocate. Eleanor Lederer is Professor of Medicine at the University of Louisville School of Medicine, Chief of the Division of Nephrology, and the Associate Program Director of their nephrology fellowship training program. She is a physician scientist with an interest in stone research. Dr. Lederer is Past President of the American Society of Nephrology. Tazeen Jafar is Professor of Health Services and Systems Research at Duke-National University of Singapore. Her research interests include policy-relevant implementation research on chronic non-communicable disease, and epidemiological studies likely to influence clinical practice. Mark Reid is an academic hospitalist in Denver, Colorado. You may know him better by his Twitter handle, @medicalaxioms, from which he regularly sends medical aphorisms and pearls of wisdom. The 1st edition of his book “Medical Axioms” was published electronically and in print in 2017. Deidra Crews is Associate Professor of Medicine in the division of nephrology at Johns Hopkins University. She serves as the university’s Associate Vice-Chair for Diversity and Inclusion and received the 2018 President’s Frontier Award from Johns Hopkins to support her research on the impact of racial disparities on chronic kidney disease. Dr. Crews is also part of the 2018 Executive Committee for the American Society of Nephrology.